A man can only eat so many winkles. The rocks along the coast where we live abound with shell fish, the most common species being the ubiquitous winkle. I took this picture last week. I love winkles but you can have too much of a good thing. Is there any other way of eating them other than boiling them and 'winkling ' them out with a pin? 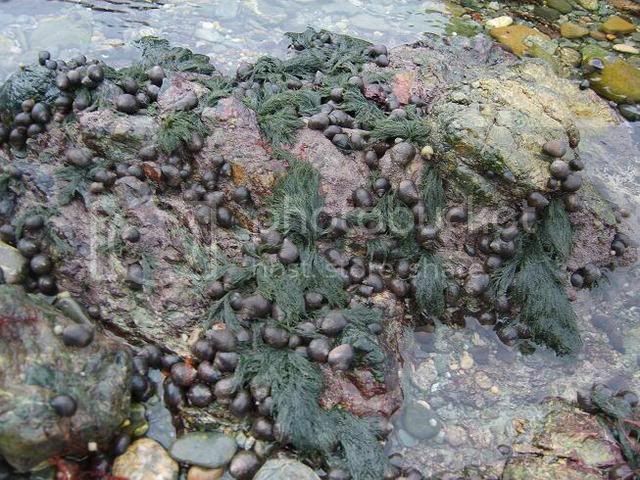 There are also loads of mussels, limpets and dog whelks as well. Other than winkling them out with a pin, I'm afraid there isn't any way I know of to get the little snotlings out Lovely things to eat, its kind of therapeutic sitting and doing it. 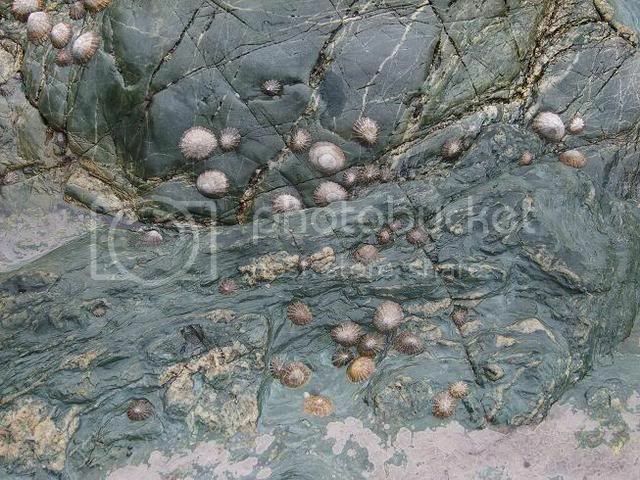 Limpets are under-rated. Did you gather many? My husband is from Hawaii, where the limpet is called an opihi. Theyre considered a delicacy, and are frequently eaten raw. -- mix them (raw) with hot chili pepper flakes (just a little) and sea salt. -- make them into a side dish, mixing them with chopped tomatoes and onions. The tomato/onion preparation is usually done with salmon and is called lomi lomi slamon, but works for opihi as well. Do you slice them or just take the icky bits off and chuck them in whole? Long ago, I had a 'colourful' (and French) French teacher. He would chip Limpets off the rocks with the swordstick he carried (like I said, colourful) and immediately eat the things raw and (apart from the shell) entire. You could always pick them and sell them to the French and Spanish. Not to put a dampner on things by there are places in Britain where you need to be careful about eating shellfish raw straight from the shore. You probably know that already but thought it was worth saying for anyone reading who is new to seafood foraging. Not to put a dampner on things by there are places in Britain where you need to be careful about eating shellfish raw straight from the shore. If in doubt, test them on the cat first. as well as the obvious ways to know to avoid problems by area(outfalls,urban/agricultural/industrial rivers etc etc ) one can stick to grazers rather than filter feeders and predators if in dought as to the cleanness of the water. even so be extremely cautious about where to gather for raw eating,a boil will reduce most live bugs to dead bugs so if in any dought boil. ps bbq in shell actually boils most critters in their own liquid and counts as a boil if steam is emitted when cooking. pps in some places even a boil wont help if there are enough exotoxins from a huge bug load.